The basic problem in PCOS (Polycystic Ovary Syndrome) is that there are numerous eggs in the ovaries but they do not grow and Ovulate (release of eggs). The first line of treatment in PCOS, therefore, is Ovulation Induction (giving medicine to grow and release the eggs). This has to be done VERY CAREFULLY. If medicines are ineffective, eggs won't grow. On the other hand, slight increase in dose can cause many follicles to grow, leading to serious complications like OHSS (Ovarian Hyperstimulation Syndrome- ovaries enlarge, water can accumulate in various body parts) and Multiple Pregnancy (Twin, Triplet etc). That's why we must do TVS Follicular Scan to see if eggs are growing and whether there is chance of OHSS or not. The first line of agents in Ovulation Induction are usually oral tablets like CC (Clomiphene Citrate) and Letrozole. Sometimes we add Metformin tablet to improve the response to the oral medicines. If these do not work we have 2 options- injection Gonadotropin (that carries small risk of OHSS and Multiple pregnancy, therefore, needs intense Monitoring by TVS) or a surgery called LOD (Laparoscopic Ovarian Drilling- the electric current is used to burn few follicles in PCO). However, LOD carries surgical, anesthetic risks and also the risk of ovarian damage. This couple came to us with PCOS with 3 tears long Infertility and Irregular Periods in March 2018, referred by another Doctor to us. They tried Ovulation Induction with CC and Letrozole with the highest possible dose. But she did not ovulate. She underwent LOD outside (in Chennai). But even after surgery she did not ovulate. 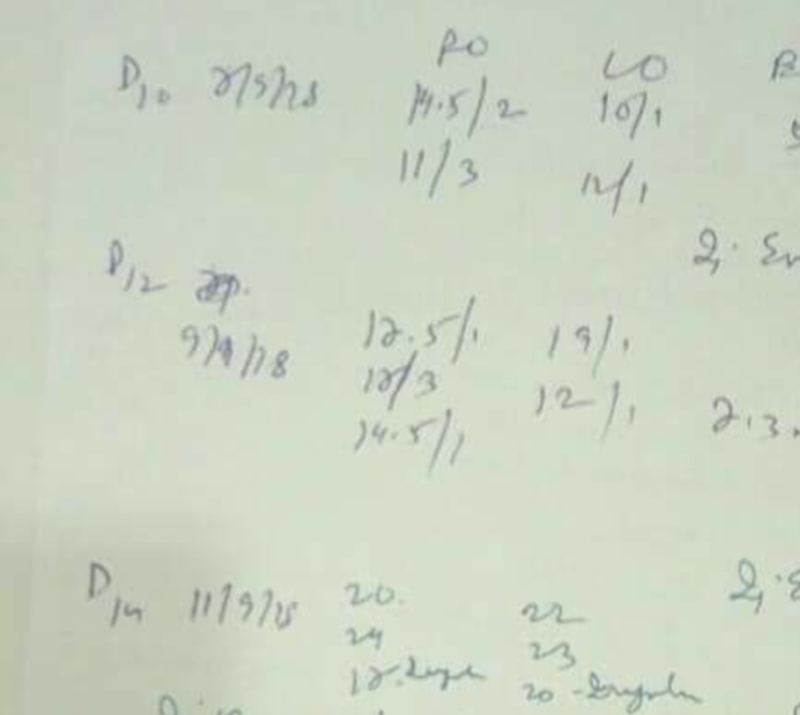 So we used the last option which is expensive- daily dose of small amount of FSH (Gonadotropin) injection and intense monitoring. They conceived with 2nd cycle of our therapy. Published with permission from the patient.